How to Be Optimistic All the Time? Wondering about How to Be Optimistic all the Time? How to be optimistic all the time, is simply an illumination. It is an illumination to be hopeful and confident of yourself, the people you love, other acquaintances in your society and confident about your present life and the future too. As optimism is simpler for humans, but we could also see the same simplicity of optimism connected with a generation, or a period of time. Have you ever read a phrase such as, "the optimistic mood of the seventies", or "the optimistic mood of the new generation", or even "the pessimistic look and feel" of a named period, generation, or even arts. Well, we are going here to get some very inspirational answers to "how to be optimistic all the time" through this page and the linked pages. Being optimistic is something that no one could cover only on one page. So, the focus here is on keys that unlock the answers and provide insightful ideas to help you discover good ways to look good, be optimistic and positive. The simplicity and complicity of life are all illuminated to make it easier for you to be confident and well focused to achieve your goals, as explained at Building Distinguished Carisma, Develop Your Charisma, Personal Charisma and Personal Success. The "how to be optimistic all the time" has two parts. The first part is a sort of analyzing and illuminating the topic. The second part is one of my personal experiences to demonstrate how I had been optimistic during that time, despite great life threats I survived. Believe in your plans. At least you have studied them well. Believe in today. At least you know yesterday has swept away. Believe in your beloved ones. At least you know how much they care. Believe in the future. At least you have planned well to achieve your goals. Believe in yourself. At least you have built your personal skills and charisma. Believe in the way you think. At least you know it is positive and constructive. Believe in the way people treat you. At least you are able to read how they think about you. Let's fraction(ize) the seven elements above into this illumination. By the way, I never thought that they are seven, before I wrote them. However, I thought of each as an apple and then here exactly at this paragraph I remembered seven-apples.com, a domain I have with the same symbolic number. Think of the "at least" doable achievement as a list to focus on to do every job right. You need to take control over your life to improve it, as explained at Personal Improvement Seminars, Self Ideal and Self Improvement. Don't just live it loose. You should have your disciplinary methods at place, as explained at Practice of Discipline. Focus on what matters to you and the people you love and treat every occurrence by its own law. Don't let wrong, or sad incidents put you down. When you face any challenge, lend yourself to mental diet, as explained at Formal Measures of Intelligence and Problems Management. Rise, always and consider everything that happens has a reason. Some things that happen just because they have unseen power that controls them, as you see in destined occurrences, such as accidents and death. You cannot control such things that fall beyond your human power. But, you can manage to avoid incidents, for example. But, even in this case, if the incident was destined, then you will fall in it. Let's take care of things that interest you and things you can manage, so you'll never ask how to be optimistic all the time. See what you believe in, in the list above. To believe in your plans, you need to work hard to search and research your plans and study them well to achieve your personal success. Well-planned projects always create that atmosphere of being optimistic all the time. See How to Plan Projects. You should believe in today, because it is the moment you live now. Start the day with smiles, greetings, throwing some humors around you, hugging the people you love and doing your daily duties, as expected in a perfect way. You'll need to feel the happiness around you and live it, as explained at Personal Happiness to answer the question at How to Creating Personal Happiness. You'll not live in yesterday, unless it has a beautiful memorial event. Even sad memorials of yesterday could have some illumination to throw over your daily life. Don't take hard feelings from yesterdays to live it again, ever. Every one you love cares about you. So, you should believe on them and they all with you in the center of your common life make this life enjoyable. Whenever you carry with some illumination on the subjects mentioned above, you feel that you believe in your future. What you plant today, even if it is love, grows in the future to color your life, as explained at Motivation for Reasons. However, you harvest the pleasure of it at the same moment you plant it and even before you water it. Your conducts today prosper in the future too. This is why planning right gets you there at that future of success, as explained at Business Planning and the Ezine Acts Business Plan. Of course, when you start believing in things, you should believe in yourself and your abilities. There is a magnetic human power in your soul and mind. If you believed that there is fire inside you, make sure that is good indication of your art, as you could see through this intimate Personal Motivation. Believe in your art, as a conscious part of your imagination. That is the Gift of Love you have, naturally. After that, the art, as production of objects could be a pleasure. But, know this. Arts are not only about the production of objects. Arts, as you could sense them through the Ezine Acts Art Essence are in the way you feel and look, the way you do things, the way you treat others, the way you talk and even the way you walk. Insider Look Into Personal Experiences to Illuminate How to Be Optimistic All the Time! You have the inspirations acquired from the pros and cons above. Well, in fact while thinking this way, you get them expanded. Your imagination and vision should work purely to sight the insights. But, to expand the vision, here are two personal stories. One was accidentally happened to make me believe in what is destined and what is not. I'll tell you about an incident story happened to me way back, while I was too young. I was sitting in a flat carriage driven by a horse and when the carriage turned from a sub-way on the main street to it, I saw a bus coming from the opposite direction. At that time, all the traffic was left. And as we turned left, the horse was far at the right, because the horseman lost control. I got confused while trying to remember what has happened after that. The horseman tried to avoid the bus, but was too late and I just jumped when the horse turned to fall on the ground, just seconds before the incident. The driver of the bus turned, but he hit the horse and the wagon. The horse and the horseman were hit hard and were falling on the ground and I couldn't see well for a couple of minutes until some people lifted me up asking if I was OK.
After the accident, I was very optimistic and I knew it from that moment it is very important to be optimistic to live happy. So, as how to be optimistic all the time is your concern know that it is essential for your personal success too! Take it this way and you'll never miss your rendezvous with optimism! Could you learn and benefit from personal lessons? Well, although the following story, with some details sighted About Me is intimately personal, but it has something for you… regarding optimism, of course and it could get you more insights about how to be optimistic all the time. I know optimism is good. It deserves your efforts searching for ways to be optimist all the times. Despite the fact that, I had passed through very hard political situations, I got the wisdom to manage how to be optimistic all the time! Hey, those political situations involve being chased like a rat and shot by both fundamental religious dictators and even your revolutionary comrades, who are more or less socialists. What is worse in the whole world than this? Well, it is a serious story; and of course with some spotted challenges; there may be some challenges like those in the story around you working continuously to break you down. In this case, optimism is just good to focus on. It deserves your efforts searching for ways to be optimist all the times, so you could conquer anything that plays any part to put you down and conquer your obstacles. Optimism helps you break all the blocks that close your way to outstanding self achievement in your field of knowledge and career. Well, as for me I have always been optimistic and in fact, I know that the answer I have for how to be optimistic all the time has led my steps during more than thirty years of my personal experiences. Even when it was hard to find a time to think about optimism, while escaping the boldest dictators in history, I used to create my beautiful corner in this world doing my dreams alone, as I have mentioned at Love and Romance! Let me tell you a story that has happened before I came to live in Europe. While I was carrying my job as journalist in Asmara, the capital city of Eritrea, I planned a comprehensive public project for the environment, that keeps on engaging people in a cooperative network until now. 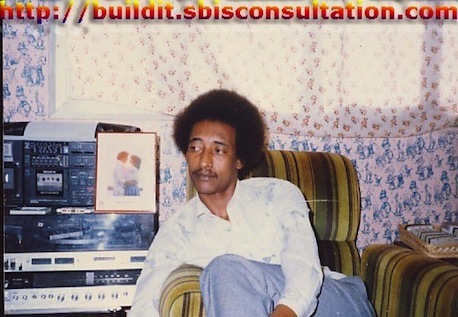 I have planned that network to stand as a non-governmental body, and to work collaboratively inside all the Eritrean trade unions and associations. See the image below and read more stories about how to be optimistic all the time at the indexed pages on Khalid Osmans Network. 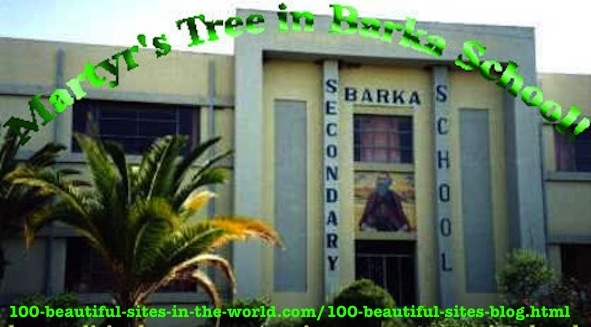 How to Be Optimistic All the Time: Martyr's Tree, Barka School, Asmara, Eritrea. I needed only two members from those trade unions and associations to work inside my environment organization as coordinators for their unions and associations. The real plan was to create an umbrella of an organization that works as the main trade union in the newly liberated country. Some leaders of those unions and associations told me that they did not construct their networks yet, so how could they supply a (well to be an environment organization) by two members. Some of my friends said about this question that, those leaders were afraid of having me completed my project before they do. Well, I knew the answer to how to be optimistic all the time that time. I told my friends that was not true, as I have sincere women leaders in some unions who have already expressed good will and appreciation of what I was doing. I knew, I should not give up. So, I argued those leaders, providing two members could be good idea to coordinate and show them how I intended to build the national environment organization too. I revealed some key points, through the activities I ran giving them other examples to show them how they could be motivated to come with new ideas to help them in their own organizations. All of that has happened, because I knew since that time and before how to be optimistic all the time, even when some doors close. I wanted to assure them at the same time, I was not planning for a political party at that level and at that time. Some people and serially some of those people I knew in the media had rumored about the environment organization, like that. In fact, that was my utmost idea, which I considered to achieve later. My concerns that time were as simple as how to get them some motivations for reasons, so they could achieve things better and become popular. I told them some details about how to be optimistic all the time to achieve their goals. One of the points was that they should not hesitate to invent good ideas and get them from other network. They actually had been very close to the president and HE has the last say on a lot of things. Well, going absolutely through the process of "how to be optimistic all the time" on that environment and despite all the challenges, I got two members from some trade unions and one member from the Ministry of Agriculture. I started the organizational part of the project by discussing the goals, the fundamental law of the organization and the short way plan of covering the environment by trees, each by unique name, as you see on the image above and at the environment protection page. The process of "how to be optimistic all the time" has got some members to be very delighted and engaged in the environmental project until a decision maker changed the whole project. However, some organizational bodies and even international representatives knew all about the environment organization and they got the Influence I had on the decision making circles right. This reference page answers the question of How to Positively Influence Yourself and the Others. Read more insights on how to be optimistic all the time in the journalism and environmental fields at My Journalism Experiences and continue this political part of "how to be optimistic all the time" at the environment protection on the political site. In addition to "how to be optimistic all the time", you may also be interested in the following articles on the Inspirations and Motivations (site map 7 A), with its extension into Ezine Acts Motivational Articles (site map 7 B), Ezine Acts Motivational Sites (site map 7 C), Ezine Acts Inspirational Articles (site map 7 D) and Ezine Acts Inspirational Sites (site map 7 E). You will see that some other articles have some answers to the "how to be optimistic all the time" question. Liked "HOW TO BE OPTIMISTIC ALL THE TIME"? If so, please send it to your friends, by typing the web address of this page as https://www.home-biz-trends.com/how-to-be-optimistic-all-the-time.html on SMS to your friends, or share it with your social media and the other services you see on the page. You can even get the pictures into your instagram, or pin one of the Ezine Acts Pictures at the Ezine Acts Galleries, Ezine Acts Photo Gallery and Pictures for Your Website. Thanks. The following website tools on the image below are all combined in one place to make building a website, automating, optimizing and monetizing it educational and sensational. They empower this page about "how to be optimistic all the time" and the entire of the Ezine Act's Network at the Ezine Act, Politics, Business and Love and update it at the Ezine Act Blog.